1. Brainstorm ideas and plan your writing. 3. 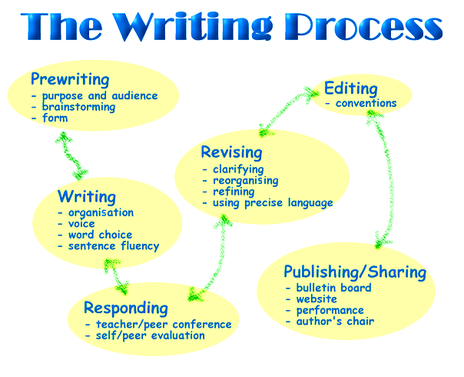 Start each paragraph with a topic sentence or point. 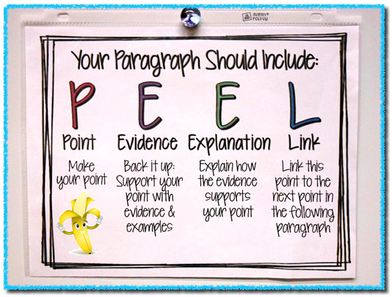 Remember to use the PEEL model. 4. As you write, think about how the sentences in your paragraph are related to one another. You should link these sentences with Transition Words (See the list below). Are you talking about something that happened? Use the "Sequence/Time" transitions word list below. Are you talking about steps in a process? Use the "Adding to an Idea" transition word list below. Are you comparing and contrasting two ideas? Use the "Showing Contrast" transition word list. Of course, the summarising and examples transition words work the same way. 5. Use the transition list while you are revising. Sometimes, it is easier not to worry about these words until your final draft stage, especially if you are a beginning writer. How do you do this? If you use the same word to start a sentence twice in a paragraph then you need to add a transition word, or re-word the sentence. Don’t use the same transition too often. Don't forget to use a comma after the transition word, and don't forget to put the subject of the sentence after the comma.